Salvation is a gift, as free as the air we breathe. It is to be obtained, like any other gift, without money and without price: there are no other terms. 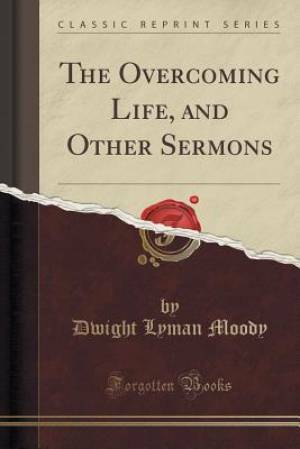 The Overcoming Life, and Other Sermons (Classic Reprint) by Dwight Lyman Moody was published by Forgotten Books in August 2016 and is our 47241st best seller. The ISBN for The Overcoming Life, and Other Sermons (Classic Reprint) is 9781333406622. Be the first to review The Overcoming Life, and Other Sermons (Classic Reprint)! Got a question? No problem! Just click here to ask us about The Overcoming Life, and Other Sermons (Classic Reprint).